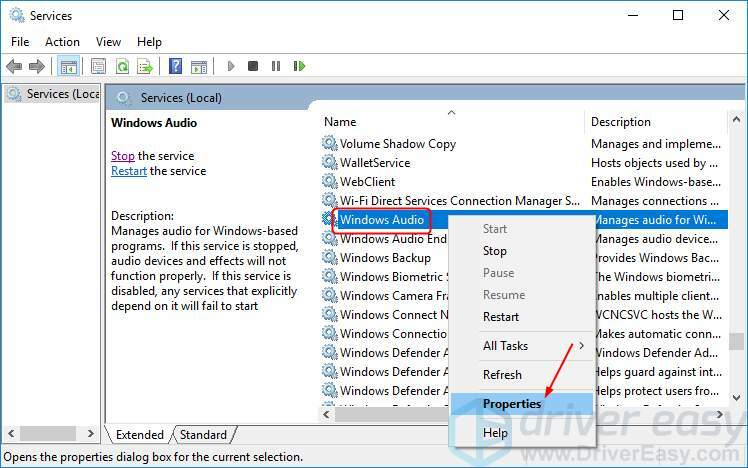 If you’re on Windows 10, and you’re seeing this error saying The Audio Service is not running, you’re not alone. 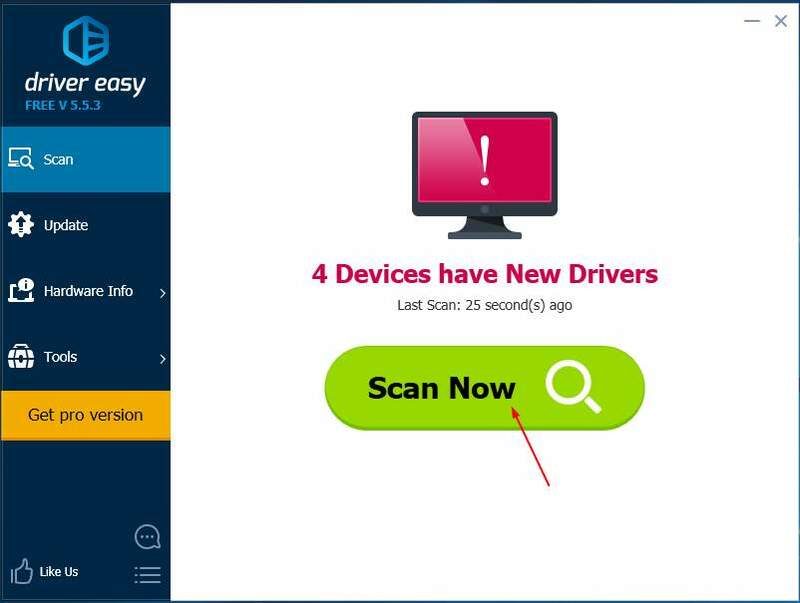 Many Windows users are reporting it. But the good news is you can fix it. 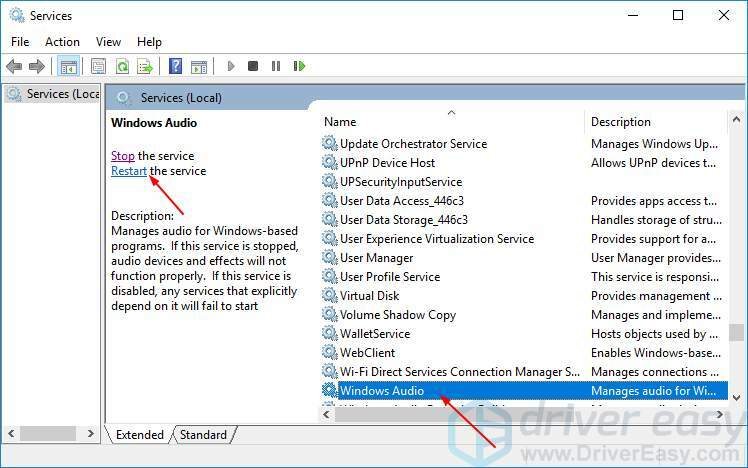 This problem is probably the improper status of the Windows audio service and any other of its dependencies. Correcting the status can solve your problem. 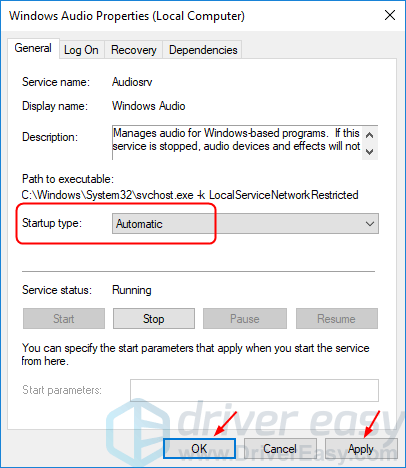 Click Windows Audio, then Restart. Right-click Windows Audio, then select Properties. Set the Startup to Automatic. Then click Apply > OK. Try to play a music or a video to see if the audio works. If it does, congratulations! But if it doesn’t, don’t be frustrated, go on to follow the Solution 2. 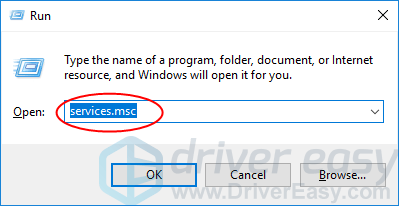 This problem could also be caused by the old or incorrect audio driver on your Windows 10. 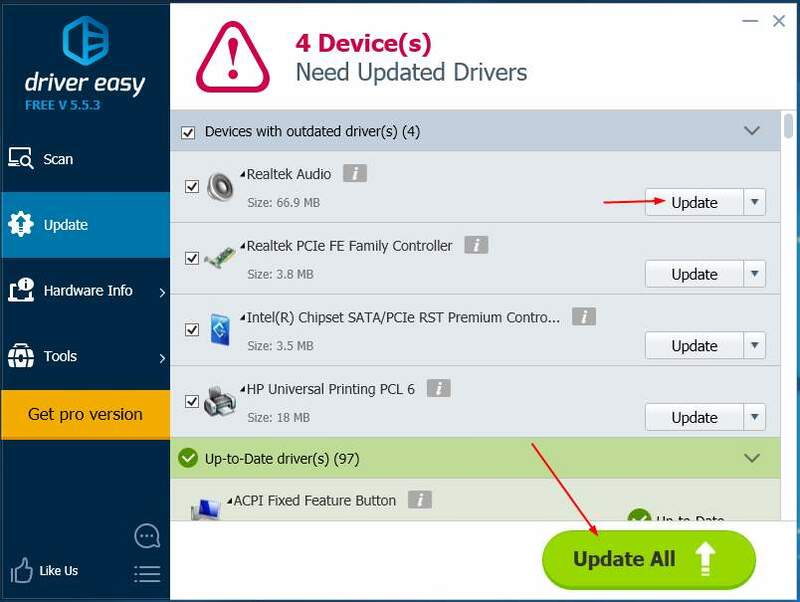 You can update your audio driver manually or, if you’re not confident playing around with drivers, you can do it automatically with Driver Easy. Restart your computer and try to play a music or a video to see of the audio works. Hopefully you’ve fixed the problem. Feel free to comment below for any questions.